Parents have the most profound impact on kids, from how they think, to the values they internalize, to the careers they choose. With the proliferation of technology today, however, the way kids develop has changed. This leaves most parents feeling like they are on a journey to raise their kids without a map showing them the way. 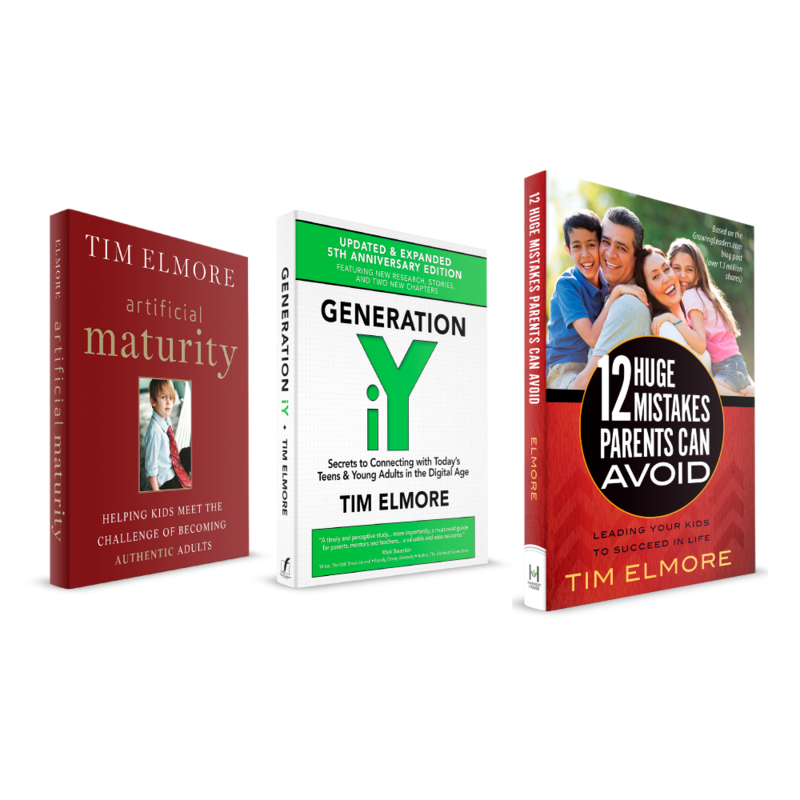 In this bundle of best-selling books, we want to equip parents with a clear game plan to raise their kids and instill timeless leadership skills within their children. 12 Huge Mistakes Parents Can Avoid outlines practical and effective parenting skills that can help you better prepare your kids for the real world. Generation iY helps you understand the latest insights and research on today’s students. Artificial Maturity provides practical advice and ways we can help students meet the challenge of becoming authentic adults.